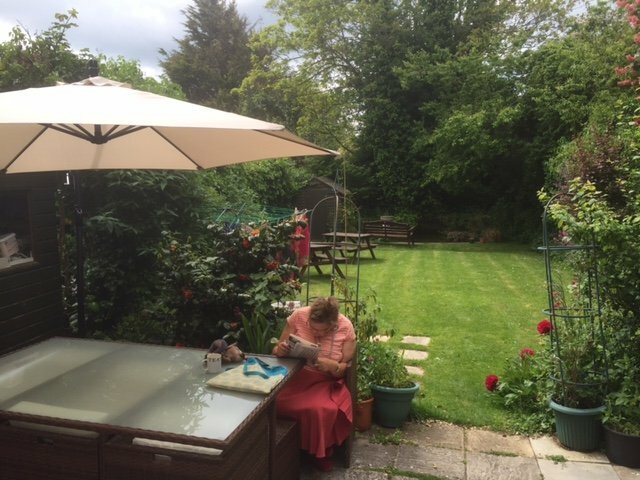 Asher is a 17 bedded home which offers treatment, person-centred, and residential nursing care to men and women with enduring mental health issues. We specialise in the treatment and care of individuals with diverse mental health problems. Our admission policy is flexible and open-ended. We accept people with a range of mental health problems but the policy is also inclusive of accompanying conditions such as physical disability (e.g. limited mobility), and physical health issues such as diabetes, hypertension, incontinence, and later stage recovery from alcohol and substance abuse. Each person’s individual needs and preferred ways of living are assessed prior to admission. The service user is encouraged to fully participate in the formulation of their personalized care plans. These are key comprehensive documents that give as much emphasis to issues of resident ownership, independence, identity and everyday choices and preferences, as it does to psychiatric and physical health issues. We offer a quality of life to the resident’s maximum level of functioning, promoting inclusion. Our aims are to work with service users, families, external professionals and advocates in building a safe, secure, person centred, homely and friendly environment in which residents have an optimal level of control over their own lives and care. Asher Nursing Home’s Registered Manager is Kirsty Craig who has many years experience of working within this sector. She is supported by a Deputy Manager and a team of registered mental nurses and health care assistants. Care staff are on duty 24 hours a day. There is also a team of ancillary staff who ensure Asher is maintained to the very best standard of tidiness and cleanliness. Asher Nursing Home is situated within walking distance to the seafront and local shopping areas. Hove boasts many local attractions including Hove Museum, Hove library, King Alfred Leisure Centre, Hove Lawns, Hove Park and an extensive shopping area in George Street. There is also an excellent bus service nearby and Hove Railway Station is situated 5 minutes away offering easy access to and from London and the South Coast. The home is on three levels with a passenger lift providing access to all floors. Resident’s accommodation consists of 17 single bedrooms with all but one room providing bathing/shower en-suite facilities. A television is provided for your enjoyment and arrangements can be made, by consultation with the manager, for Sky or cable TV to be installed in personal rooms at the service user’s expense. Communal space consists of a combined lounge dining room, meeting room and a smoking conservatory. There is a small rear patio area connected to a car parking area. The home provides wheel-chair access, handrails and a bath-chair for services users with restricted mobility. There is a laundry room if service users wish to wash their own clothing. Service users are welcome to bring small items of their own furniture, pictures, and ornaments to personalise their room. The home offers a choice of home cooked meals using suggestions from the residents and their families. The menu is changed on a regular basis. Special diets, cultural and religious preferences and tastes can be catered for e.g. diabetic; fat-reducing etc. Relatives can join you for lunch either in the dining area or in your bedroom if you so wish. A drinks trolley is made available at various times throughout the day for residents to make themselves hot or cold drinks. Snacks are available on request. Most residents make their own arrangements for occupation and recreation as part of maintaining their independence, however, some activities are organized by the home in conjunction with the residents who can join in if they like. Activities include going out for walks, trips to the cinema, theatre outings, music therapy, chess, table tennis, arts and crafts, computer skills, learning new languages and mini-bus outings to name but a few.